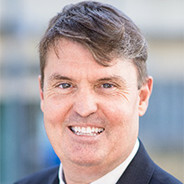 Professor Robert Newton, PhD, AEP, CSCS*D, FESSA, FNSCA is Associate Dean, Medical and Exercise Sciences and Co-Director of the Exercise Medicine Research Institute at Edith Cowan University Perth, Western Australia. Current major research directions include: reducing decline in strength, body composition and functional ability in cancer patients; cancer related fatigue and the influence of exercise; exercise medicine and tumour biology; strength and conditioning for enhancement of sport and tactical performance. Professor Newton is an Accredited Exercise Physiologist, Certified Strength and Conditioning Specialist with Distinction with the NSCA, Fellow of Exercise and Sports Science Australia and Fellow of the National Strength and Conditioning Association (NSCA). In 2004 he was awarded Outstanding Sports Scientist of the Year by the NSCA. He has published over 280 refereed scientific journal articles, two books, 16 book chapters and has a current h-Index of 58 with his work being cited over 11,692 times. As of 2016 his research had attracted over $29Million in competitive research funding.